Great opportunity to own this elegant stone architectural home, entirely renovated in 2008 on Mayfair. Its open plan extension is drenched with daylight and offers a family room, elegant shaker style kitchen, breakfast counter and dinette. 3 bedrooms, 2 ½ bathrooms *ensuite* Finished basement, family room, possibility of another bedroom. Huge garden, 3 parking places. The best well kept secret on Prince of Wales! Large windows flooding the space with natural light. Living room open to the dining room, and the kitchen + dinette overlooking a large terrace. 3 bedrooms, 1½ bath, parking. Quality of life and space minutes away from all your NDG services. Impressive and unique! Live in this exquisite second floor and benefit from a third level. A full renovation made of this unit an oasis flooded with natural light. Quality materials and studied detailing characterise this architectural gem. 3 bedrooms, 2 bathrooms, family room on third level, and a garage. One single visit will captivate you and put an end to your search! Discover this nice cottage on Kensington Avenue ready to greet you and your family. Next to the tastefully-renovated and impeccable kitchen is the very bright dining room. Beautiful wood sliding doors lead to the terrace and the garden on the sunny side. On the second floor are the three bedrooms and the renovated bathroom. The family room, the powder room and the laundry are in the basement. Close enough to the Village for the amenities without having to suffer the parking issues! WOW! Impeccable LOWER condo with parking. Lovely cross-hall plan, oak floors with mahogany inlays, leaded glass windows. Spectacular kitchen open to the dining room+ patio door to your large terrace. Unique living room, ceiling beams, fireplace, front balcony. Main floor offers 3 bedrooms (one of which office), 2 beautiful bathrooms. The private basement has a family room, a large second bathroom, and access to the garage (storage). Steps to Monkland Village, shops & metro! With the most awesome views on the NDG roofs and on the river, this exquisite little condo offers you a modern, spacious, elegant and functional kitchen, two bedrooms, two bathrooms, air conditioning, one garage and one locker, and a definite neighborhood life. High-end finishing with attention to detail. Steps away from to amenities and public transportation. Adjacent Westmount on Grey avenue. A nice opportunity to get this large family home in a sought-after neighborhood. It benefits from large spaces, high ceilings and great woodwork and wainscoting. On the main floor you’ll find a wide living room, an elegant dining room and a large kitchen open to the terrace, and on the second floor four good-size bedrooms. Garden with western exposure, and parking for 2 cars in the front. 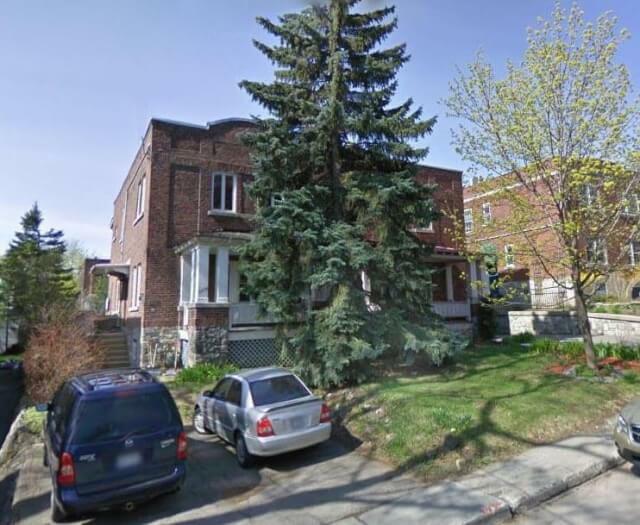 Close to Victoria Village, Vendome metro station and all amenities. Adjacent Westmount / Victoria Village, close to the Metro, train & the MUHC. Space, volume and light! Detached duplex on Madison Ave. currently used as a cottage. Impeccably-maintained since 1999. The new staircase on three levels leads to 6 bedrooms, 3 bathrooms, double living room, double den, family room, gym, double garage. Parking and large lovely garden. Superb turnkey unit fully renovated in 2012. Located on the ground floor, it offers 2 bedrooms, one of which has a beautiful ensuite and large walk-in. It includes 2 bathrooms and parking in the back. Living room with stone wall, dining room adjacent to the designer kitchen with a quartz breakfast countertop. 1927 8-unit construction that was entirely renovated in 2012. Luxurious, warm and excellent soundproofing. A few minutes away from metro, bus, schools, train, super hospital and more! Lower with double living room, 2 bedrooms, will need updates. A true turnkey, this gorgeous open-concept condo at garden level is bright and very functional. Ideal for investment or as a pied à terre in the heart of Monkland Village, this updated 3 ½ condo has beautiful oak floors, a large bathroom with jacuzzi, an eat-in kitchen with ceramic floor and patio doors to the little garden with wood deck on the sunny side with shed. Partially furnished and appliances included. No condo fees! In the heart of the Monkland Village, 3 minutes from the metro and shops, this magnificent upper condo offers very bright living spaces with 2 skylights, large dining room, ceiling beams, woodwork, nice renovated kitchen with island and terrace. Enlarged bathroom with separate shower, two bedrooms, office, front balcony, large family room in the basement with side entrance and mudroom. A rare gem!